This September my two closest friends start their university adventures in London and Bristol. After completing an Art Foundation Year they are now set to move away and start life as uni students. I wanted to get them a little something each before they went, so put together these little gifts to take with them. 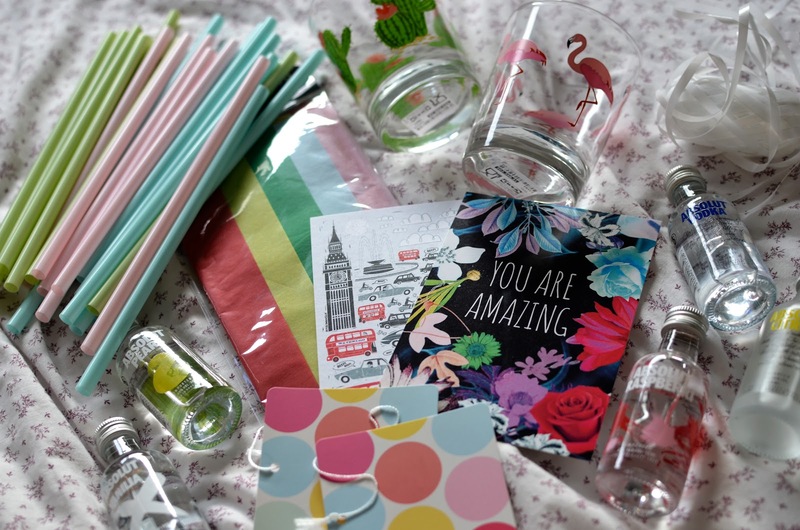 As a student last year I managed to get my head around how to make Birthday and Christmas presents on a budget. These didn’t cost me a lot but together they make a sweet little gift just to say goodbye and good luck! 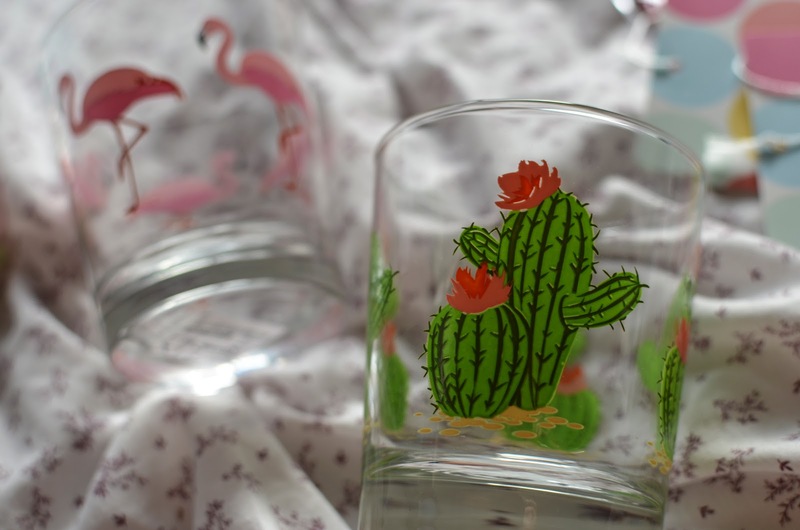 Using the glasses as a mini hamper, I stuffed them with tissue paper that matched the colours of the cactus and flamingo prints. 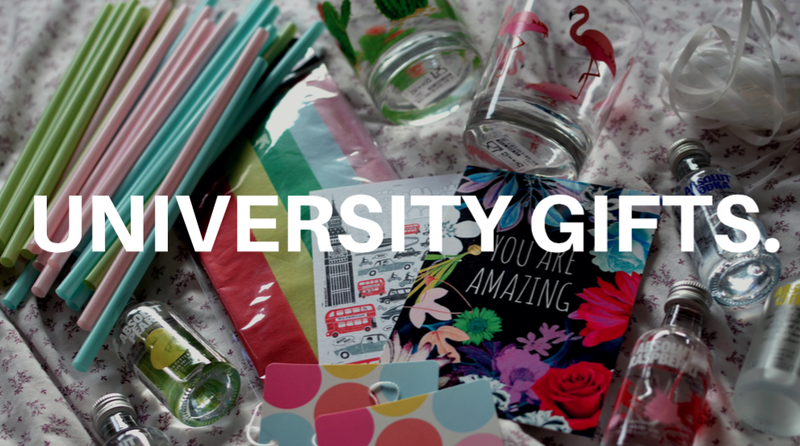 I then used white ribbon to tie together the straws and place them in the glass, along with a mini bottle of Absolut Raspberry and Absolut Vanilla Vodka. 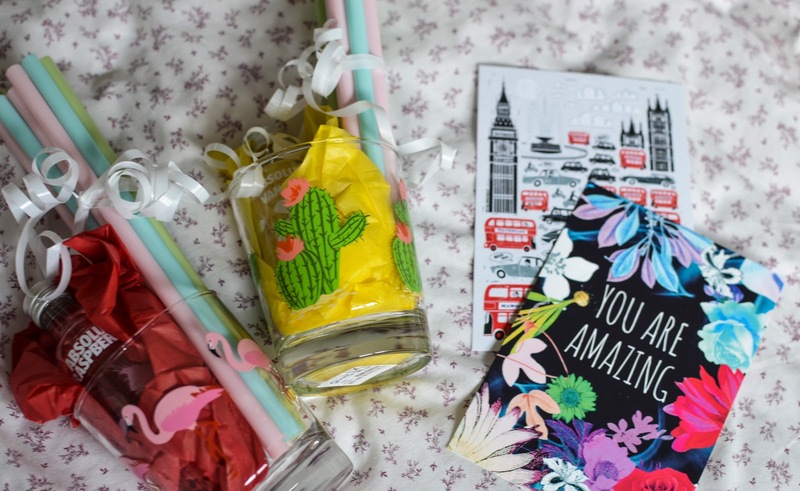 I planned to get them both cards but I always remember when we were in school and would go shopping on the weekends and would buy postcards in Paperchase. Which we would then use to decorate our bedroom walls. 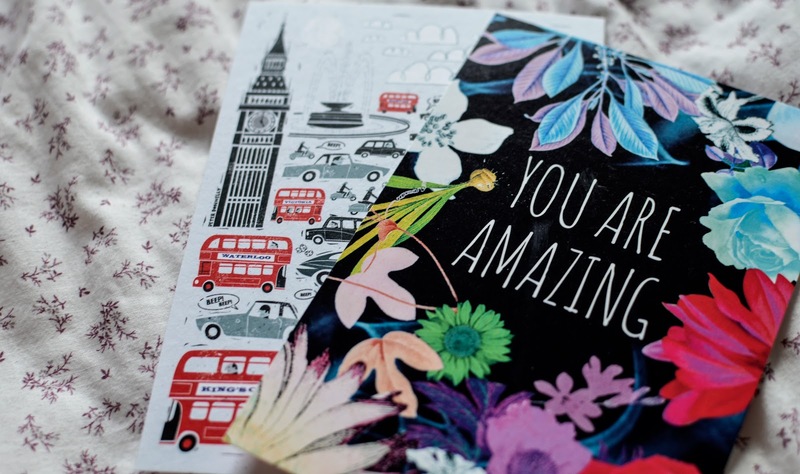 So I found these cute postcards, a London one for Helena and a floral graphic one with typography on it for Jodie. Obviously I wrote a paragraph because I’m going to miss them so much, and I’m so excited for the experience they are going to have.